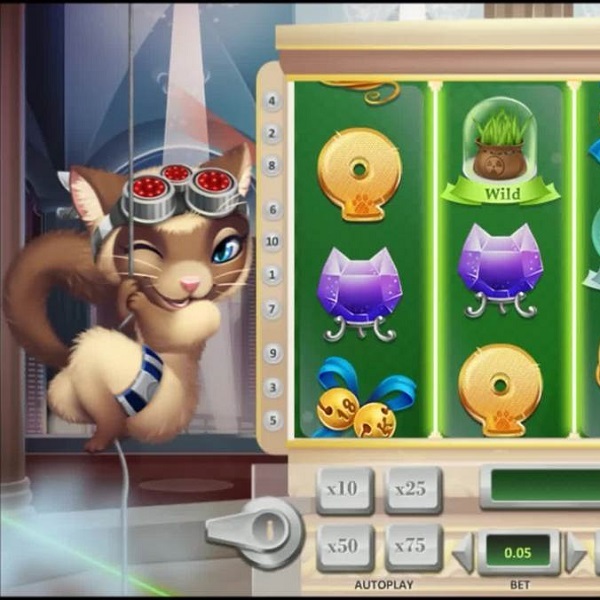 Random Logic have launched Cat Me If You Can slots, a game based upon a cat burglar that offers some rewarding bonus features. It is a 5 reel slot with 20 fixed paylines. To the left of the reels you can see the cat burglar while the symbols include a cat-shaped gem, cat bells, a ball of wool and a plate of fish. The green and pink sprigs of catnip are wild and there are fishbowl and mouse scatter symbols. If you can land the fishbowl scatter on reels two, three and four a two stage picking game begins. In the first stage you pick items to win multipliers and in the second stage you pick from folders to find matching items. The slot has a betting range of £1 up to £200 per spin and a top payout of 1,500x.